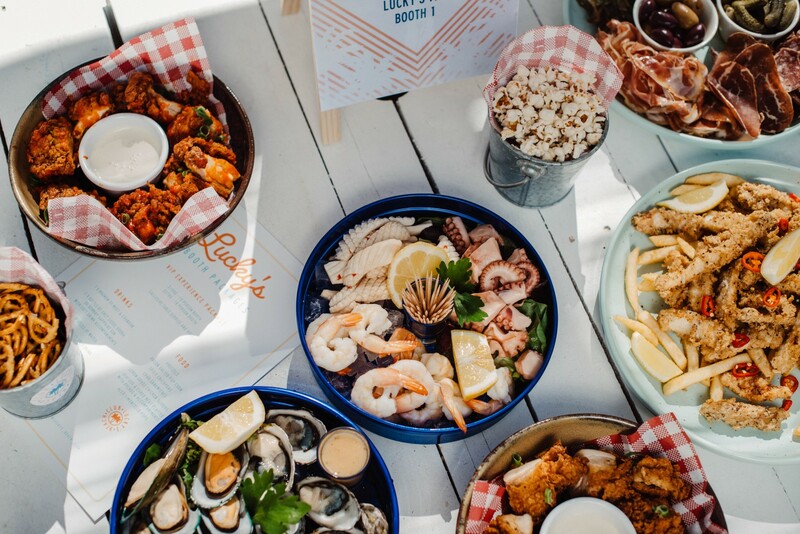 For those that aren’t in the know, listen up pineapple friends: Lucky’s Beach Club has graced The Maid Hotel’s car park for the past few years and it’s new iteration is bigger and better than before! If you’re searching for a sandy oasis but stuck in the eastern burbs… no need to worry Adeladies, Lucky’s Beach Club has got you covered. The friendly team have transformed an innocuous carpark into your perfect summer sipping location! While there’s sadly no ocean to paddle in Stepney, 25 tonnes of sand to wriggle your toes in will give you that perfect beachy vibe. Kick back in one of the white washed VIP booths with your friends and cool down with an SA beer or something a little special from the Spritzer cocktail list. 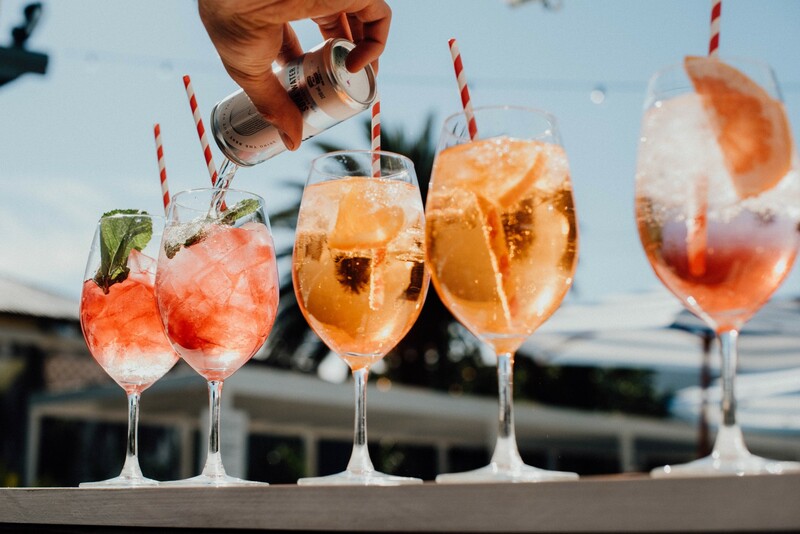 We recommend the Ambra Spritz with cranberry or an SA made Ginscato *insert love heart eye emoji*. 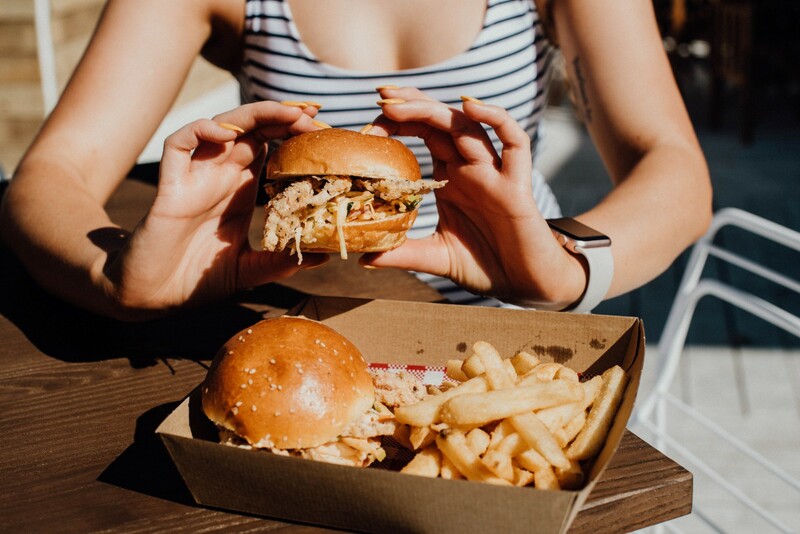 A new summer outdoor ‘kiosk’ is serving up succulent buffalo chicken (but bone free, so you don’t have to get quite so messy), soft shell crab sliders, seafood platters and much more mouth watering goodness to whet your appetite. Combine that sweet summer tunes from live artists and great DJs and you have a winning combo. We hear there’s a whole program of great events coming to the Beach Club too, and with Lucky’s sticking around until March this year, there’ll be plenty of time to get a bunch of visits in! Warm nights are ahead (if the weather guy could just get the message that would be GREAT) so whether it’s beach style relaxation you’re after, or a bit more of a summer boogie, Lucky’s Beach Club should definitely be on your list.